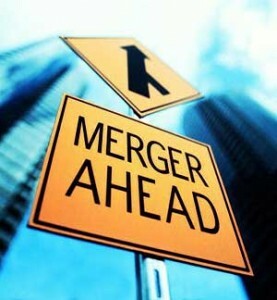 Anyone following the financial news over the last number of years has no doubt noticed the increasing frequency with which corporations are merging, or being bought out by other corporations. This often results in efficiencies for the corporations, hopefully leading to greater profit. However, the impact on the employees is often overlooked. Whether the transaction is a share purchase, asset purchase, or other type of structure, the impact on the buyers and sellers is clear. However, the impact on the employees is often less certain. The structure of the transaction can have a significant impact on the future of these employees. Fortunately, the Ontario Employment Standards Act (the “Act”) does offer some protection for employees in such circumstances. The Act imposes a requirement for payment of up to one week’s salary per year of service should an employee be terminated as a result of such a merger. The situation becomes more complicated in the case of senior executives who are also shareholders in the company being purchased. Such senior employees will often be bound by either common law or contractual obligations to refrain from competing with their former employer or soliciting their former co workers to leave the company which has been purchased. Such restrictions will obviously have a marked impact on the ability of these executives to find replacement employment. In many of these transactions, the former executives are well compensated on the sale of their shares, and will seek to leverage their experience by obtaining employment with a similar business where their experience will command the highest compensation. Understandably, the vendor corporation will see this as a diminution to the value of the asset it purchased and will take whatever steps are available to prevent the former employee from doing so. As has been expressed by the author of this blog in the past, courts in Ontario have demonstrated a marked reluctance to enforce non competition and non solicitation covenants. There is a strong judicial preference for the maintenance of a free and open market for labour, capital, and ideas. The courts will examine the provisions sought to be enforced or the facts underlying the transaction, to determine if the geographical, temporal, and scope of the prohibitive clauses are necessary to protect the legitimate business interests of the company seeking to enforce them. The most recent clarification of these various obligations was released in a decision of the Ontario Court of Appeal on February 5, 2013. In the decision of Martin v. Con Create USL Limited Partnership, the Court of Appeal reversed the trial judge’s finding that the clauses were enforceable, and struck them out. The employee in question was employed by the respondent corporation since 1990. He had begun his career with the company as a General Manager and worked his way up in management. He had also acquired a minority interest in the shares of the company. Therefore, when the business was sold the employee received payment for his shares but retained a minority interest in the new company. As part of the transaction, he was required to sign a new employment agreement which confirmed his obligations of non competition and non solicitation as contained in covenants with the predecessor corporation. The new covenants were said to remain in force for a period of twenty four months following the disposition in any manner by the applicant of his shares. At some point after the sale, the applicant was offered a significant payment for his interest in the company together with a senior position at the acquiring company. Under the terms of his employment agreement such sale required the consent of the company. As the company refused to consent to the sale, the applicant brought an application before the Ontario Superior Court for a declaration that the non competition and non solicitation covenants signed as part of the share sale were unenforceable so that he could accept the new position. The application judge reasoned that the applicant had signed the agreements with full knowledge of their terms, and had received significant consideration from the transaction. He therefore refused the employee’s application. However, given the significant amount of money at stake, the employee appealed the decision to the Ontario Court of Appeal which allowed the appeal and ruled that the clauses were not binding on the employee. The clauses provided that the non solicitation and non competition obligations applied across Canada for a period of twenty four months. Although the employment agreement signed at the time of the transaction provided that the applicant could not be terminated for two years, except for cause, the acquiring company fired him after just six months, alleging that it had cause. Eight days after his dismissal, the former employee started his own competitive business. He hired a number of the former workers and some of the former managers to work in his new business, and started to pitch the customers of his former employer. Not surprisingly, this drew a reaction from the former employer including an application for an injunction enforcing compliance with the new restrictive covenants. The company also sought damages for lost revenue. The application judge upheld the enforceability of the restrictive covenants. He reasoned that they were part of a commercial transaction and that the scope and duration of the provisions were reasonable. He also concluded that the employer had a reasonable business interest to protect. The application judge also relied on the fact that the employee had retained an indirect twenty five percent interest in the company being acquired. It is interesting to note that the application judge relied on the offering memorandum and slide show presented to investors as evidence to support the fact that the parties had negotiated and agreed to a Canada wide territorial restriction on competition and solicitation. In considering whether to uphold these restrictive covenants, the Court of Appeal referred to the widely accepted principle that “covenants on restraint of trade are contrary to public policy…” and are therefore deemed to be unenforceable. In considering whether such clauses were reasonable, the moving party must convince the court that the clauses are reasonable as between the parties. If a clause is in any way ambiguous, it is not possible to demonstrate that it is reasonable. It is for this reason that such clauses must be drafted carefully and by someone with knowledge of the courts’ perspective on them. It is interesting to note that the court referenced prior cases which stated that the clauses drafted as part of a purchase or sale of a business will be subject to a lower standard as being part of the commercial transaction between “equals”. The Court of Appeal found that the motions judge was correct in his conclusion that the geographic scope of the clause was reasonable. The Court of Appeal also relied on the presentation material used by the parties, including the slide show which demonstrated that the parties expected the prohibition to be applied Canada wide. One aspect of such clauses that is often successfully challenged is in the duration of the prohibition. The courts will examine the nature of the business in order to determine how long the “goodwill” lasts. In this case before the Court of Appeal, it found that the way in which the temporal limitation was drafted resulted in an indeterminate time period with no fixed outside limit. The court found this to be unreasonable and excessive. As well, the requirement for consent from the “lenders” before competing resulted in the period of competition being indeterminate as “who the lenders might be at the relevant time, what consents might be required, and whether these consents would be given…” could not be ascertained. The clause was therefore too uncertain to enforce. Even the most carefully drafted non competition and non solicitation clause will be open to careful and detailed scrutiny. Better to rely solely on a non solicitation provision and take your chances in the competitive marketplace. Purchasers will often not get what they bargained for.